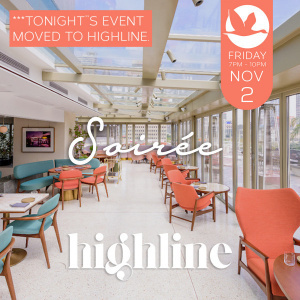 Join us for a fabulous Soirée event. Created by the same group behind Highline, The Nest, and Cannery. Ticket includes one welcome drink (wine, beer, mixed, or standard cocktail). We look forward to seeing you for a fabulous evening! Dress code is chic and sports coats for men.